" We are one of the pioneer agencies who started offering white label SEO reseller services to individuals and SEO firms. Our SEO Reseller Program is foolproof and helps reseller sell packages with confidence and make the highest profit." Why A New India SEO Reseller Program? Introducing our W6 program for the success of our reseller partners. Benefits for all resellers with no minimum or maximum spend/budget limitation. Once you are our reseller, you will have all the benefits of our white label reseller program. Your client remains under your brand. Manage your clients, billing, project, and sales from single tool. Live Rankings, Analytics, Search Console and Domain metrics, link management – all at one place. You do not need to hire fulfilment team, admins, large offices and invest in infrastructure. Agencies can reduce their staff and turn expenses into profits. Create tickets for all your client queries. Our experts will answer them right thru the white label CRM. All onsite, link building, reporting, and support will have your own branding. 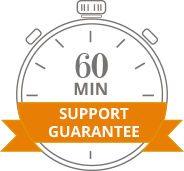 Quality, Results and Punctuality : We had 0 clients when we started working with A New India SEO Reseller Agency. They helped us grow the agency bit by bit and now we manage over 400+ SEO Accounts with them. We are really happy with the quality of work, results, support and timely delivery. Pricing, Quality and Profit Margin : We are premium only seo agency managing high spend accounts. We wanted highest quality of work with results. A New India helped us manage client's expectations. We are currently under top 3 highest retention rate seo agencies in Melbourne, Australia. We are small Toronto based IT agency offering computer repair and network solutions. A New India setup our SEO department which transitioned from IT offerings to Full Service SEO Agency. Thank you Guys for helping us with guest posting and HQ links. Who can become SEO Reseller? Anyone! If you are already selling SEO services, large SEO agency, SEO startup or just want to sell SEO services. We can help. Yes, we do. Not just volume discount on total monthly billing, but we also offer Free SEO and PPC management for Resellers on certain monthly budget. Click here to know more. We understand you may have a lot of queries before signup. Cool! We are always happy to answer anything you want to ask. Please get in touch with us by clicking here. What are your pricing and how much I can up-price? Our WRP (Wholesale Reseller Pricing) / SEO packages starts from $99, you can view our detailed pricing here. Along with each of the packages you can see “Suggested Retail Price” which gives you an idea on how much you should bill your clients. You may always increase or decrease the pricing based on your sales input. Yes, we do offer pre-sales support, product training and answer all your queries to help you run your business successfully. Can I migrate my own packages? Absolutely! we have “Agency Migration Specialists” who will work with you to migrate your own packages. No matter how custom your reporting and fulfilment is, we can successfully migrate @ 50 campaigns per week. We make sure the migration is smooth, so that your customers do not face any inconvenience. Talk to our migration specialist today! I have never sold seo before, can you help? Never sold SEO? Don’t have any SEO Knowledge? Doesn’t matter! With our reseller training, management dashboard and proposal generator, you can sell SEO like a pro. Just sign up for reseller program and your dedicated reseller manager will guide you through everything. How much volume you can take? 50 Accounts per week, if you are bringing your own packages. And 100 per week, if you are going to use our packages. Our infrastructure includes 80 seats. Please explain your payment terms.